Corsair's mainstream memory solution for the AMD Phenom II or Intel Core i3, i5 and Core i7 dual channel memory processors and platform. 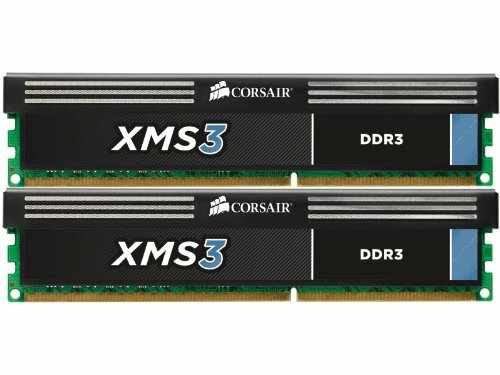 The XMS3 family is Corsair's mainstream line of performance DDR3 memory. These modules allow users to experience outstanding memory performance and stability. Available in Corsair's new XMS heat spreaders, each module is built using carefully selected RAMs. Backed by Corsairs Lifetime Warranty and excellent customer support. Please refer the User Guide before use.